I’m dreaming of a plaid Christmas! I adore plaid any time during the year, but I especially love plaid for the holidays. 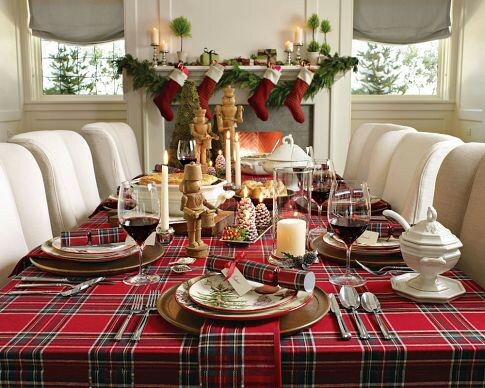 Whether you have plaid in your holiday decor or your wardrobe, every preppy has to have a healthy dose of plaid. Williams Sonoma's holiday plaid tablescape is so gorgeous. Looking at something like this reminds me that good taste never goes out of style. This picture could easily be from a decade ago and will still be relevant 10 years from now. The gorgeous plaid paired with simple green swag and traditional red stockings is picture perfect. Tartanscot is a blog that is full of beautiful inspiration for decorating with plaid. The rich fall tones of this plaid place setting from Ralph Lauren are an excellent choice for Thanksgiving, Christmas, or any cold weather holiday. 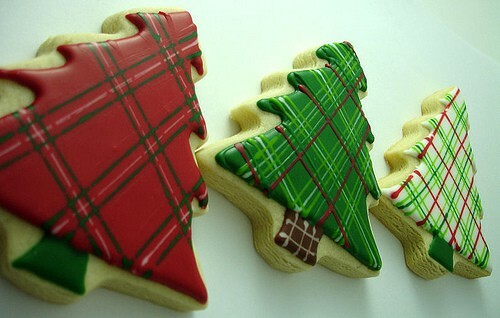 Or maybe you would prefer some plaid Christmas cookies! What a special holiday treat. Once I joked that plaid is my favorite color! It's actually not that far from the truth. My summer wardrobe is full of whimsical prints and madras, but it's all about plaid for fall and winter. Since Maryland winters seem to last for a long time, it's a good thing that I love plaid so much. Plaid is classic and modern at the same time. Plaid isn't stuffy or over-formal; it can be eclectic and fun. Somehow, mixing these plaids just seems so perfect. I love the monogrammed necklace, too. That's high on my wish list this year. 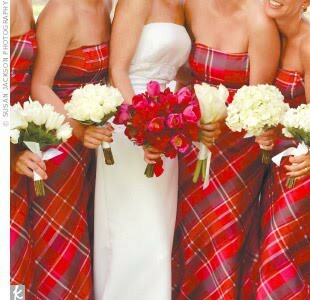 A plaid wedding would be so pretty in the winter. Plaid is so timeless. The same black watch plaid as a child in the 80s is the same black watch plaid that got me through preppy Christmas holidays in the 90s, and it is the same black watch plaid that the Twincesses will wear this year on Christmas Day. Brooks Brothers is always a great choice for a preppy plaid. Do you have a favorite plaid? 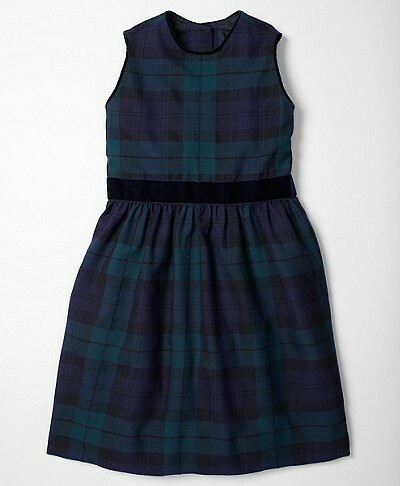 I love all plaid; but, I especially love tartan! 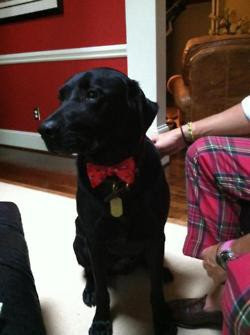 I love a good christmas plaid too! how adorable are those bridesmaids dresses?!? I am obsessed with plaid! LOVE the scarf and necklace combo -- do you know where you can get both items? 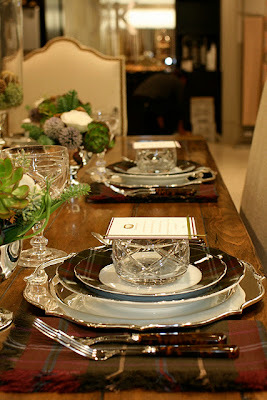 I saw a plaid party theme on Hostess With the Mostess that looked amazing. It was called Mad for Plaid or something like that. I love pulling out my plaid flannels when it gets cold. I'm not a big plaid person, but those cookies and that coat are fantastic!! 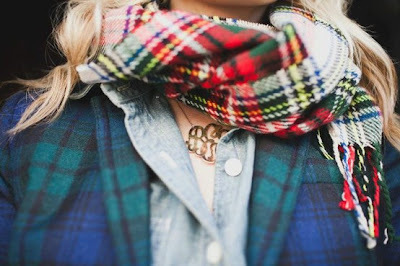 Love love love plaid for the holidays! I just put the little guy I nanny for in a plaid VV button down. So classic! Curious of the sterling silver flatware shown in the photo is yours? What pattern? It looks a lot like my sterling which is Towle Legato. Lilly's 80th Birthday Party Recap!